Cessation of hostilities in Syria is expected to start on Saturday, February 27, according to a joint statement issued by the US State Department. WASHINGTON (Sputnik) — The deadline for the ceasefire has been outlined in a draft US-Russia deal. "The United States and Russia, as co-chairs of the ISSG [International Syria Support Group] and ISSG Ceasefire Task Force, announce the adoption on February 22, 2016, of the Terms for a Cessation of Hostilities in Syria attached as an Annex to this statement, and propose that the cessation of hostilities commence at 00:00 (Damascus time) on February 27, 2016," the statement reads. Military action, including airstrikes conducted by Syria, Russia and the US-led coalition will continue against Daesh, al-Nusra Front, as well as other UN-designated terrorist groups. The United States and Russia have agreed to share information to effectively delineate territory occupied by terrorist groups like Daesh and al-Nusra Front, who are excluded from the Syrian cessation of hostilities. According to the agreement, Moscow and Washington will establish a hotline for communication to exchange information on Syria. "To achieve this goal [of monitoring compliance with the ceasefire] and to promote an effective and sustainable cessation of hostilities, the Russian Federation and the United States will establish a communication hotline and, if necessary and appropriate, a working group to exchange relevant information after the cessation of hostilities has gone into effect," the announced said. Parties engaged in the fighting in Syria should indicate whether they agree to cease hostilities not later than on February 26. 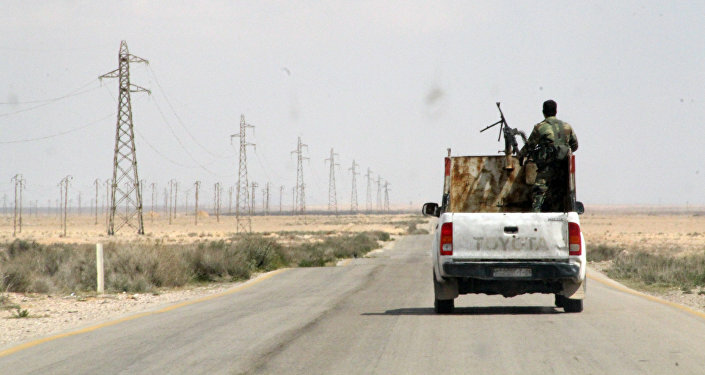 Syrian armed opposition groups will cease attacks against the Syrian government forces, according to the deal. US Secretary of State John Kerry called on all parties to accept and fully comply with terms of the proposed plan. Earlier in the day, the Syrian Democratic Council told Sputnik it had not been informed of the cessation of hostilities plan yet. “We don’t have enough ideas on this question now, we are not informed about what happened exactly,” Haytham Manaa said. The details of a ceasefire process between the government and opposition forces in Syria have not been been agreed upon yet, Iranian Foreign Minister Mohammad Javad Zarif said Monday. “The details of the [proposed] ceasefire, whose original version was finalized in Munich, are under negotiation, and they have yet to be agreed upon,” Zarif said, as quoted by the Tasnim News Agency. According to the media, Zarif reiterated Iran’s stance on Syria, stressing that only a political dialogue and cessation of hostilities can solve the current crisis. Syria has been in a state of civil war since 2011, with the country’s government fighting multiple Islamic opposition factions and terrorists, including Daesh and al-Nusra Front. The meeting of the International Syria Support Group on February 12 resulted in a final communique calling for humanitarian access to all besieged areas in Syria, and set a one-week deadline for measures to be implemented toward cessation of hostilities. 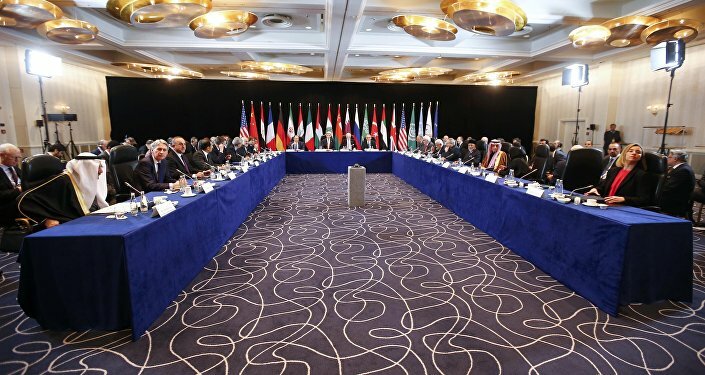 The ISSG was formed in November 2015 shortly after the beginning of the Syria peace talks in Vienna as an international format aiming to resolve the internal crisis in Syria. The format currently involves Russia, the Arab League countries, the European Union and some of its member states, as well as China, Iran, Turkey, the United Nations and the United States.